EDIT: 5/11/2015 -- Thanks for all of the continued interest in this series! 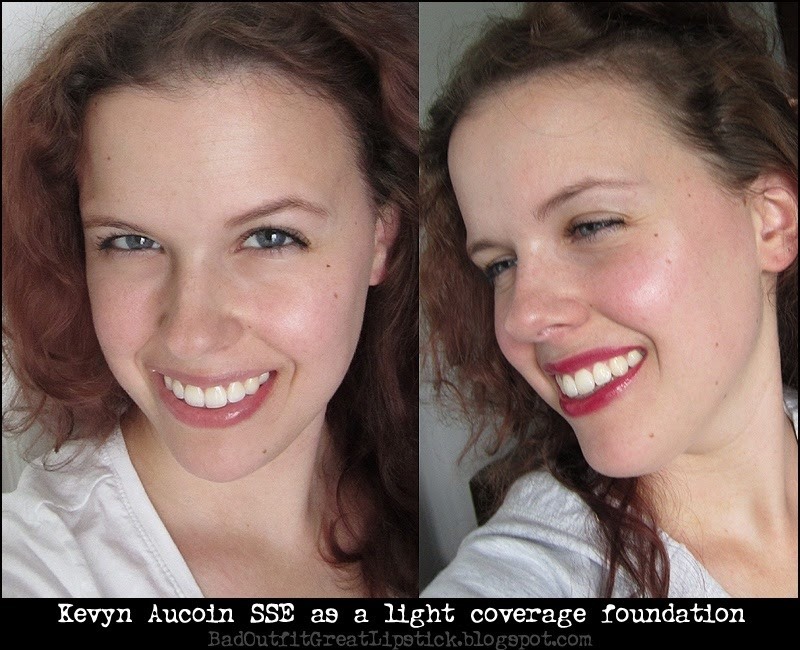 For more recent tips and tricks on using this product, check out my Kevyn Aucoin tag. 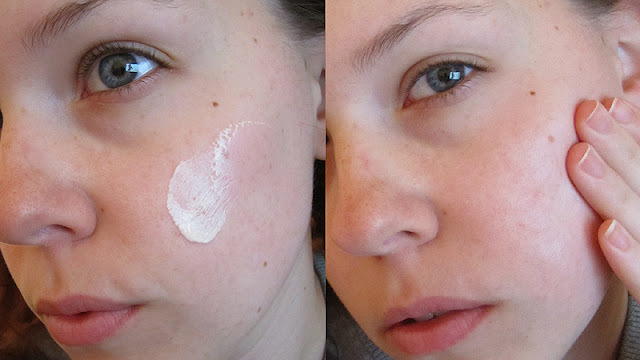 Obviously, the spot concealing method I covered in part 1 is the method I use the most, since the KA SSE is my go-to concealer and I generally favor sheer coverage foundations, like MAC Face & Body. But sometimes I'm not in the mood to carry around two huge 4oz bottles of MAC foundation and a brush. I could, of course, just bring the KA SSE and spot conceal. But what if I've got a bit more redness on a certain day, or I need a tad more coverage to feel completely comfortable? Enter a travel-sized moisturizer and my depotted KA SSE! 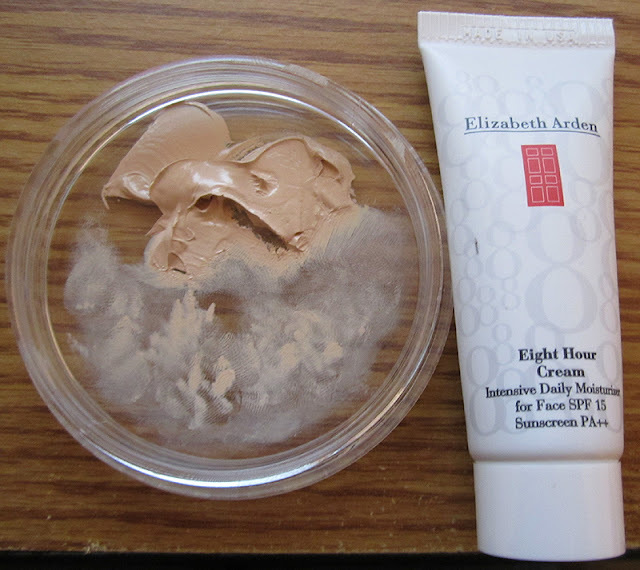 My current favorite moisturizer to mix with KA SSE is the Elizabeth Arden Eight Hour Cream Intensive Daily Moisturizer for face. It's not uber-rich like a night cream, but it's still very creamy and thicker than the Elizabeth Arden Let There Be Light cream. I never use more than a grain of rice sized amount of the KA SSE, but how much moisturizer I add depends on the coverage I need. Today I just needed a small amount of redness coverage on my cheeks, so I used a smidge of KA SSE with a dime-sized glob of moisturizer. This gave me a very sheer coverage. If I want more, I add more KA SSE versus cutting down the moisturizer, since the moisturizer is what makes the product smooth over the skin so well. 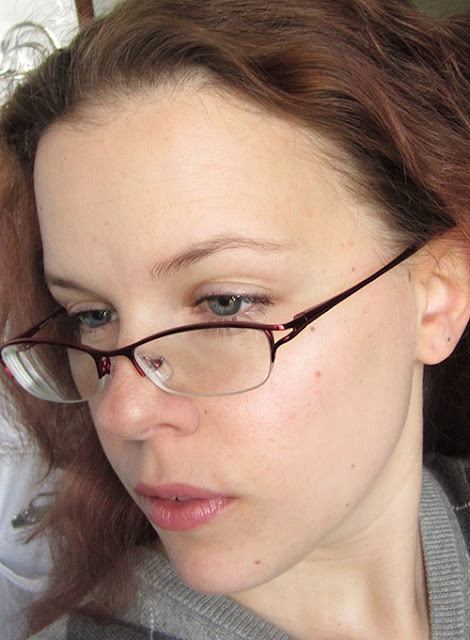 Then I apply a small amount of the mixture to one section of my face at a time, blending it in with my fingers. You can use a brush, but generally, fingers are easiest and work best. 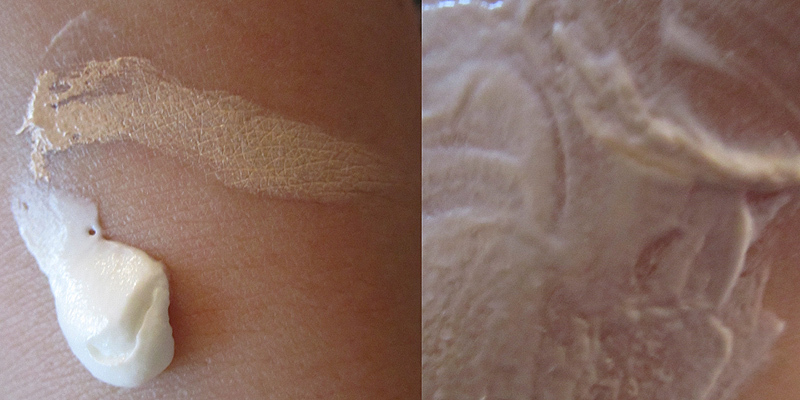 Once this is done, I spot conceal; today I lightened up my undereyes and chin with an extra dab of KA SSE. Here's the finished face. Obviously I'm wearing highlighter on my cheeks, but you can still see the overall "natural glow" the homemade tinted moisturizer gives my face, plus the sheer coverage. Pretty but natural, yeah?